45 watt Seedling Heat Mat is the perfect way to jump start your seeds. It has been Re-engineered for better performance and greater durability. The stronger heating wire, and thicker multi-layer construction offer more uniform heating and the durability to withstand rugged greenhouse environments. Studies have proven that plants with a root zone that is kept warm thrive and propagate at a much faster rate than plants that do not. Warms root area 10-20 degrees Fahrenheit over ambient temperature to improve seed germination and increase success of seedlings and cuttings. UL listed. It has a waterproof construction with a 6 foot power cord. 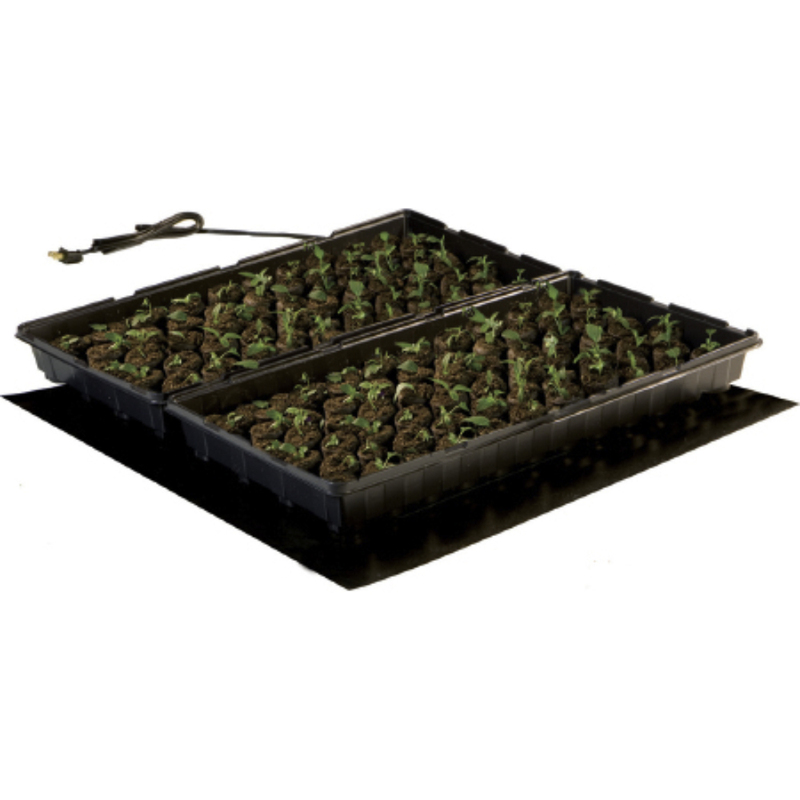 Metropolitan Wholesale is New Jersey and the New York Tri-State areas one stop source for 45 watt Seedling Heat Mat and all things garden related at wholesale prices. We carry a full selection of wholesale statuary, fountains, tools, cut flowers, planters and pottery, tropical plants, annuals, perennials, seeds and much more.